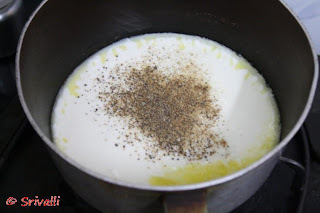 Cooking 4 all Seasons: Basic White Sauce Recipe ~ Step By Step Recipe! 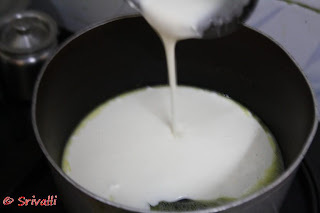 Basic White Sauce Recipe ~ Step By Step Recipe! Imagine you decide to convert yourself into Vegetarians and that's then the world decides to create all those delectable cakes, burgers and what not! I tell you even in India being a pure Vegetarian is tough. I meant sometimes it becomes very difficult to get pure Veg dishes even here when you happen to be eating out in a non veg hotel, and you are never sure! And then there are these tempting dishes that come being made with eggs like Burgers Pizzas etc! I emphasis on pure because Dad says that there can't be a status of pure vegetarianism, it's either you are or you are not! I remind him gently that some include eggs in vegetarian diet. And this has caused me being ever precarious to check the labels or ask couple of times to confirm if the dish offered contains eggs in disguise or not. Some of my friends who are vegetarians eat cakes and other dishes that has eggs in them. When I ask they say it is fine with them since they don't see the egg. But for the bane of me, I haven't been able to accept that. So result is I have never tasted those sinful desserts. Thanks to all those wonderful people who enjoy my creations and ascertain that these resemble the original in taste and look! 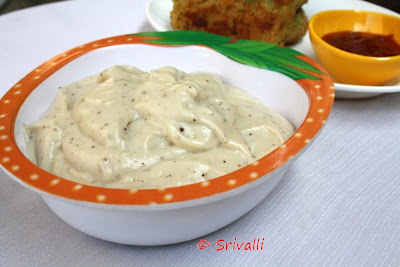 Coming to the recipe for today, I know many of you must be making this White sauce regularly. This was one of those first recipes I started making trying to replace egg based recipes. Works so very well all the time. I use this for Burgers, Pastas. Previously I used to make this and store. Mix the flour with milk, add salt and pepper. 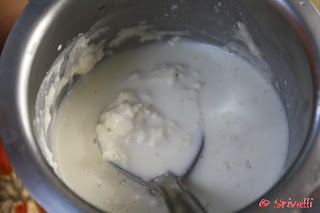 The mix should be watery and without lumps. Melt butter in a non stick pan. 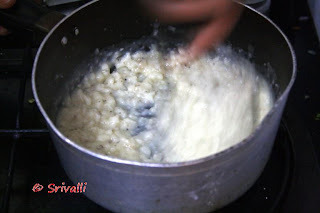 Slowly add this flour mix and whisk briskly to ensure the liquid doesn't get solidified. 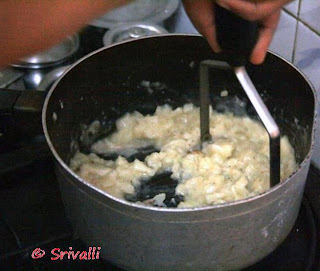 Keep stirring till the sauce reaches a bit thickness. It should not become very thick as the sauce tends to become very thick once it is cooled. 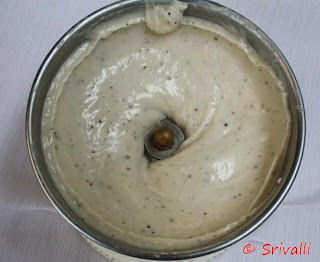 At times the sauce tends to clog, you can whisk with a masher, to get a smooth paste. When the sauce starts boiling remove, and allow it to cool before storing it in a bowl. Notes: As I was busy with the camera, I almost allowed the liquid to get settled. Because of that I ended up getting lumps in the sauce. Once it cooled down, I pulsed it couple of times to get a smooth thick sauce. I only added salt and pepper, but you can add as many other spices you want. It really gave such a wonderful taste to the burgers! 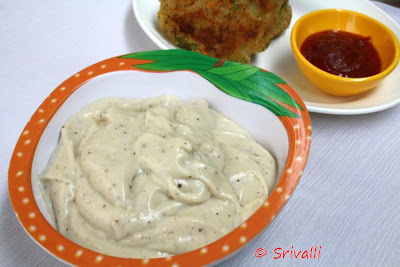 Check for the Vegetarian Burger Step by Step Recipe, Indian Style at Beyond Curries, which happens to be the 100th post!! !